Training leaders means developing a partnership between the employer and employees. This involves both bottom line and business metrics, as well as behavioral and team building skills. The issues related to soft skills such as behavioral and team-building skills are explored in depth in Mike Gregory’s book, The Servant Manager, 203 tips from the best places to work in America. This article introduces some of the concepts from this book and a corresponding video series. Leadership is hard, it is continuous, and it is truly an art. Why is it that numerous studies and surveys find that managers believe their employees are aligned and on board, yet the overwhelming evidence indicates that workers are not satisfied with their bosses in America? [i] As employees consider the leadership level—above their immediate manager—this dysfunctional perspective continues to grow. That is, employees have the most trust in their own front line manager, but as they consider those above their manager, they view them with more distrust and this distrust increases as they consider leadership up the organizational chart. The conundrum is whether this presents us with a real opportunity or delusion. Training leaders means developing a partnership between the employer and employees. This involves both bottom line and business metrics, as well as behavioral and team building skills. In Michael Gregory’s[ii] books The Servant Manager: 203 tips from the best places to work in America and Peaceful Resolutions, the issues related to soft skills such as behavioral and team-building skills are explored in depth. This article introduces some of the concepts from these books and a corresponding video series. In a video on leadership and opportunity, Mr. Gregory proposes that “first you need to show up, and show up with a good attitude to take on what needs to be done.” It emphasizes that it is important for leaders to show up to work each day with a positive attitude. He also proposes that it has been found in the field of neuroscience that simply taking five minutes while looking in the mirror or driving to work to reflect on how we are blessed in so many ways can have a significant impact on showing up to work with a positive attitude. A minor change considering mindfulness can have very significant impacts. Everyone needs to do their best. As employees and managers, we need to plan for the worst and expect the best. We need to look for the best in people and work to set others up for success. It is very important for leaders to come with an attitude to help and educate. This is an underlying theme. Personally, I have a passion to learn and to share what I have learned. This helps motivate me. What helps to motivate you? Use your passion to drive you towards what matters most to you. True leaders have your back and want to see you succeed. Leaders need to have a vision of where they are going. They also need to share that vision with others. By operating with integrity, being accessible, keeping it simple, and demonstrating ethical leadership with your actions, it is possible to build a highly performing operation. In business (as in life), your actions mean more than your words. Many managers talk the talk, but when push comes to shove, they may not demonstrate what needs to be done. Successful leaders do. 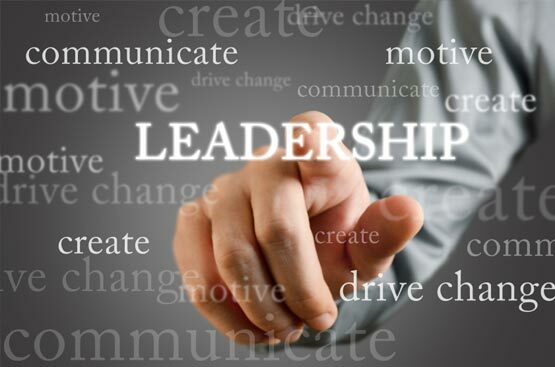 Who do you admire in leadership positions and why? These are the traits you want to exhibit as well. Great leaders realize their time is not their own. Leaders realize the work done by others really drives the organization. Knowing this they do not micro-manage, but instead coach and ask others what they think. Not micromanaging is key. Great leaders ask questions like “what do you think we should do”? They encourage others to present their ideas. They encourage group decision making and ideas. They do not hide behind a closed door. Sure, there are times doors need to be closed for sensitive conversations, but the bottom line is that they are accessible. They step up when the need arises. They are responsible. They share the credit. They identify what needs to change and they take appropriate actions to create that change. They listen to their team members and they are there for them, when team members need assistance. Compare the above to the following: one partner shared with me that senior partners were not accessible to front line employees. I think that is a huge mistake! This person shared that their firm lost 10 millennials in the past year to other firms, because in part, the millennials felt they were not being listened to or appreciated by the firm. Hiring replacements is expensive, ensuring continuity, and providing a sense of empowerment is priceless. A partner with a very good functioning team realized this, eventually left that firm, and opened his own. He was concerned the previous firm may go the way of the dinosaur if it did not change and he did not want to stay there. We all have a full plate and a comfort zone. However, sometimes it is necessary to step out of that comfort zone to be a leader and take advantage of an opportunity. Choose wisely. Set yourself up for success. Is this something that meets your own strategic objectives and will this opportunity help you broaden skills or enhance your perspective with the team? Sometimes stepping up when the task is mundane may enhance your reputation and others will look at you in a new light given your willingness to help. The Army’s Special Forces teaches new recruits to continually ask the question of “what else can I be doing now”. You can do this too. They may allow you to ask others if you can help them. Again, this may start with the mundane, but may very well grow into chances to learn a new skill that may enhance your value to the team. This is how many team leads become team leads in groups. Give employees a chance to shine. By giving employees an opportunity to shine, employees really feel appreciated. I used to practice these three steps as a manager and later, helped teach these as a middle and executive level manager. I have since found out that a major consulting firm makes this same suggestion in management development training offered at a rate of thousand dollars an hour. I think that means you can take these three steps as money in the bank if you incorporate them in how you treat others. Leaders need to look for opportunities to give employees a place to shine, make suggestions, and volunteer to be on these types of teams. Leaders need to cultivate this type of atmosphere and encourage employees to participate in these processes. If the team wins, everybody wins. That is (or should always be) the goal. Recognize and reward good team behavior. Chances are that if you do, others will pick up on this too. From a big picture perspective, leaders need to have clearly defined goals and share these with everyone. They need to define what success looks like. Often teams are not on the same page because they do not share the vision. They have different perspectives on what success looks like. Leaders ask their team members what they think success looks like and then discuss this to make sure participants are on the same page. As time progresses, they need to share the bottom line and continuously strive for improvement. Not sharing what is important via the bottom line is counterproductive. Opportunities pull and attract others. Opportunities activate imagination. Opportunities take courage and inspiration. Opportunities bring more opportunities. Opportunities can be used to motivate, develop, and to engage employees in your organization. By working together and co-establishing goals, you can partner with each other to ensure good communication and be set up for success. You need to look for opportunities for yourself and for others. You need to recognize what is in your best interest and consider what might be in the best interest of others. Share the ideas. You may want to discuss and point out to others that potentially certain opportunities may be in their best interests too. Help others to get ahead. This can come back to you in so many good ways. This is new leadership thinking. In other words, understand yourself and build trust as a person that works not only for yourself, but also for your team. Don’t you enjoy working with people like that? Others do too. Cultivate this within yourself and encourage others to develop it as well. Focus on the needs of customers, employees (up, down, and lateral) and stakeholders. This makes you and the team more valuable. Those that exhibit these skills as leaders, opportunity sharers, and opportunity makers typically are the most successful. True leaders look for opportunities for themselves and for others. As you read the above, consider the mantra of the three steps presented. Leadership and opportunity go together. Look for opportunities for yourself and others. Be prepared to get out of your comfort zone focus on doing what it takes, doing the right thing and have fun along the way. If you are interested in exploring this subject matter in more depth, or learn about leadership issues, I invite readers to visit www.mikegeg.com to explore both books and videos. Michael Gregory worked for the IRS for 28 years as a specialist through executive level. Twice he was nominated by his employees and received the honor of IRS civil servant of the year in his career; both as a front line manager and a territory manager. In 2011, he founded Michael Gregory Consulting, LLC. His web page is www.mikegreg.com offering his videos and books. He can also be reached at (651) 633-5311.